Pro Football Focus gives Dalton high grades on a few specific throws. Andy Dalton’s 2017 wasn’t exactly anything to write home about. He finished the year ranked 17th in passing yards (3,320), 10th in passing touchdowns (25) and 18th in passer rating (86.6). was leading his receiver farther down the field. in fifth place. Ahead of him were Jimmy Garoppolo, Wentz, Blaine Gabbert and Ryan. targets shows that Dalton throws to outside receivers more frequently than most NFL QBs. attempts, behind Ben Roethlisberger, Eli Manning and Jameis Winston. Rounding out the top five behind Dalton is Ryan. Another easy reason to point to for Dalton throwing outside is that he’s had A.J. Green on the outside to pass to his whole career. continuing to make Green the top target, but also by getting John Ross involved with his speed down the field, now that he’s healthy. be sure to read the overview of our process, and it’s always nice to have this image handy when going through the data. Slept on, meaning a guy we aren’t talking about... Andy Dalton hasn’t won crap in the NFL, but Andy Dalton is being slept on going into the season. I thought last year was a tough tough road for Dalton. They spent a top ten pick on John Ross and he doesn’t catch a single ball. They deplete their offensive line... Then they fire his offensive coordinator two weeks into the season, and what does he do to finish the year? They beat the Lions. They beat the Ravens. They knock both those teams out of the playoffs. They end on a good note. Dalton, for all his flaws for all his prime time inabilities whatever you want to say, has been to the playoffs five of the seven years in the NFL. Myself, I'm really happy when people sleep on Andy Dalton. because nothing positive happens when people write positive things about Andy Dalton. All you do is stir up the portion of the Bengals fan base that still hasn't gotten over woefully overrated Carson Palmer quitting/leaving. I say good riddance. Carson Palmer got his wish and still couldn't win anything with multiple franchises, and when he retired the sporting world collectively shrugged. 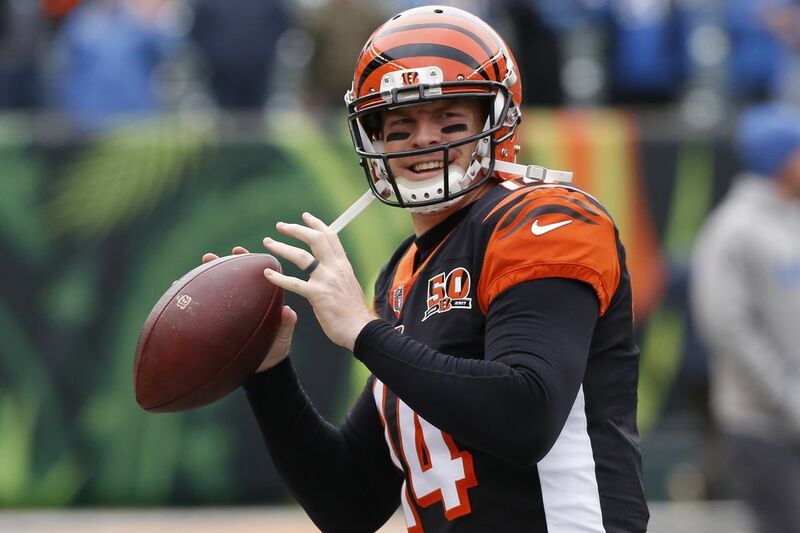 Frankly, who cares if Andy Dalton is one of those QBs who need a great team around him to win? A player exactly like that was just named Super Bowl MVP. The difference is Philadelphia built a great team with few weaknesses. Bengals haven't come close to matching that. They can't run the ball or stop the run. They can't keep their own TE healthy and they can't stop the opponents TE. They're almost as inept defensively as they are offensively. The list of team failures that have nothing to do with Andy Dalton goes on and on and on. That Andy Dalton isn't good enough to overcome those built in weaknesses is besides the point because Carson Palmer wasn't either. And the same has been proven true for Eli Manning and a host of other so-called elite QB's, including some with championship rings on their fingers. It's 2018 and absolutely nobody is debating whether Andy Dalton is a great quarterback. As a rule you don't find great quarterbacks on bad teams. But why are we still debating whether he can be a good quarterback if given a better team to work with? A closer look shows that Dalton’s productions stays consistent, regardless of the score. trailing, then compared it to their fantasy PPR values. coaches like to run the ball to milk the clock and reduce the chance that they will give the ball away. Of all 31 quarterbacks Barrett measured, 25 of them passed less often when leading, quantified with a negative leading differential. Twenty-six of the quarterbacks passed more when trailing, netting a positive trailing differential. differential of -11 percent. His production increased by 14 percent while trailing, giving him a trailing differential of +14 percent. whether the Bengals were ahead or trailing. While most “game manager” quarterbacks will predictably alter their production based on the gamescript, Dalton doesn’t fit into that category. clock like most other teams, so they called on Dalton more during both leading and trailing situations. Dalton, like 2011 draft classmate Cam Newton, has regressed to his own mean after an exceptional fifth season. 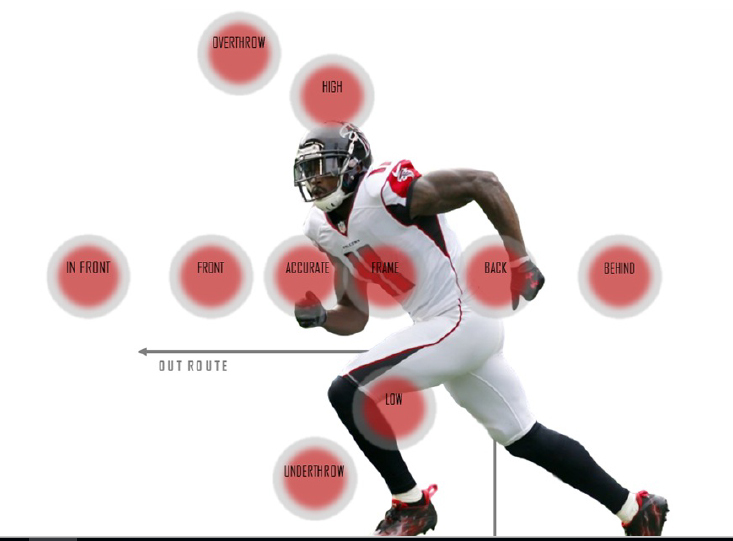 Bad offensive line play and inconsistency at receiver behind A.J. Green have contributed, but there has been a lowered floor to go with Dalton’s limited ceiling as a dependent passer. 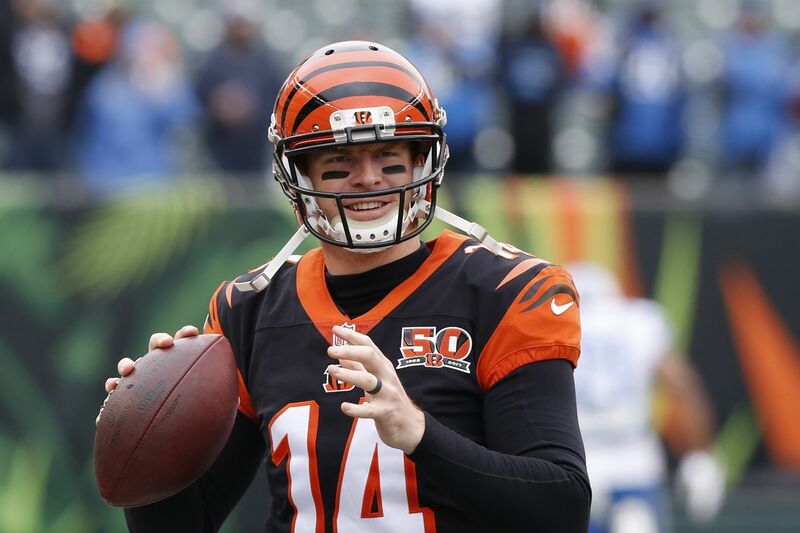 An influx of young talent at the position and the departure of prized Bengals offensive coordinators have helped to push Dalton down the franchise quarterback list. He might be the best current example of a solid starter whose fortunes rise and fall based on his surroundings.